This week was CES - the big Consumer Electronics Show - in Las Vegas. Google hasn’t had an official presence there in several years, but this year they went in big, with a huge “playground” booth and Google Assistant everywhere. They announced Google Assistant-powered “Smart Displays”, plus a new Daydream stand-alone VR headset and VR180 cameras. And there were lots more TVs, computers, and gadgets from leading manufacturers. Not to mention the latest in self-driving pizza delivery vehicles. In the wake of last week’s Logan Paul “incident”, in which the popular YouTuber shared a video showing someone who had committed suicide, YouTube posted an open letter acknowledging for their lack of communication. They stated that “there will be consequences”, which there have been. But beyond that, YouTube promised they will be taking steps “to ensure a video like this is never circulated again.” They have also been reassuring advertisers that videos in the “Google Preferred” program (which get top advertising dollars) will be better vetted. Google Webmasters is rolling out the Search Console (beta) to everyone . They also announced that Google's PageSpeed Insights now includes real-world data, at least for some websites. If you have a Chromebook, check out the new official list of Chrome OS devices, which includes the Linux kernel version, the date official updates end, and status of mitigations for the Meltdown vulnerability. I learned my Chromebook - code name “minnie” - will get updates through the middle of 2020, which isn’t bad. Also of interest for families: Chrome Supervised Users is being deprecated January 15th. Google is working on new supervision features, but hasn’t announced when they will be available. Parents aren’t happy about the change. Facebook is making a major update to the News Feed. Posts from friends and family, and those that “spark conversations and meaningful interactions between people” will be higher in the feed. That means less content from brands and businesses. That sounds great to me - I primarily use Facebook to see what family and friends are up to. It will be interesting to see if brands move away from Facebook and invest in other platforms like Twitter, YouTube or (dare I suggest it) Google+. 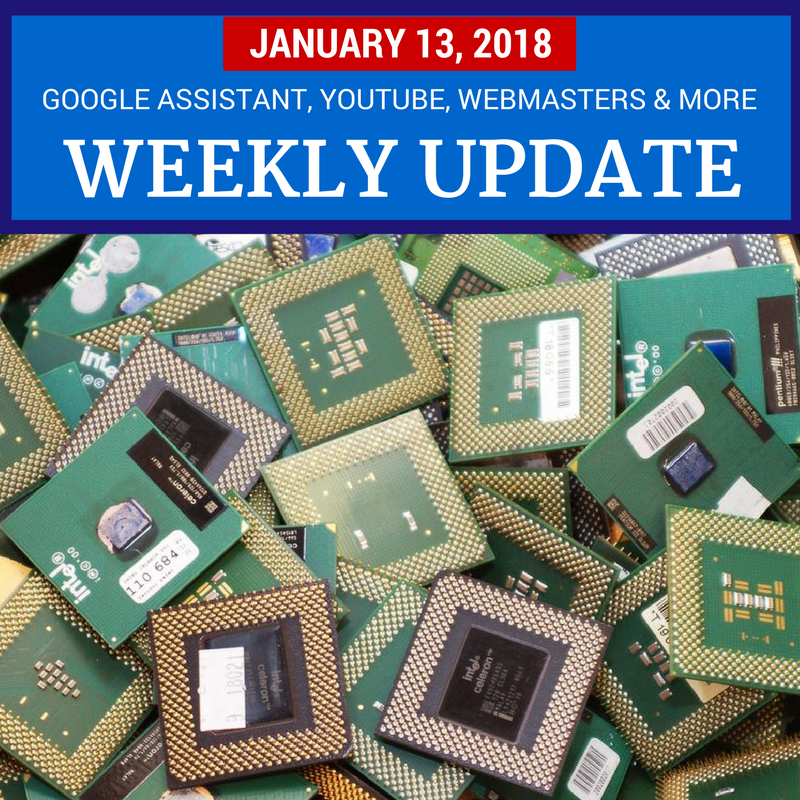 Plus there are tips and news for Google+ers, YouTubers, Live Streamers, AdSense Publishers, Webmasters, Business Owners and more.